The Information Technology Enterprise Solutions-3 Hardware (ITES-3H) contract in coordination with the United States Army Contracting Command, is a multiple firm-fixed, indefinite-delivery/indefinite-quantity contract with a ceiling of $5 billion, open to Army and other authorized buyers. The ITES-3H contract vehicle enables organizations to provide agencies with commercial IT equipment, including servers, workstations, PCs, networking equipment, storage environments, and other IT products. 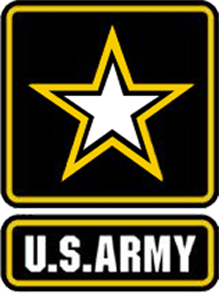 Wildflower is proud to serve the Army and the Department of Defense, here and abroad. Wildflower has a 3 decade service record as a trusted small business, HUBZone Certified partner in the government supply chain, providing innovative IT solutions to challenges within the defense sector. Contact us to help you with all your Army ITES-3H IT needs. Contact us for your Army ITES-3H technology needs. We have been supplying the best technology to the best Federal Government customers for 3 decades. We can help you today.